We have previously featured Felix Hernandez’s wonderful photography using model cars with his Audi R8 here. 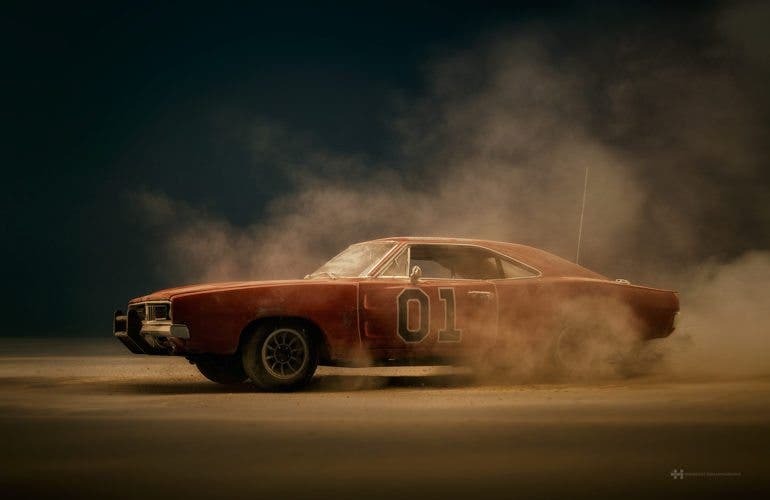 Felix continues to push his creativity, this time reviving the beloved “The General Lee”: a 1969 Dodge Charger from The Dukes of Hazzard TV series. 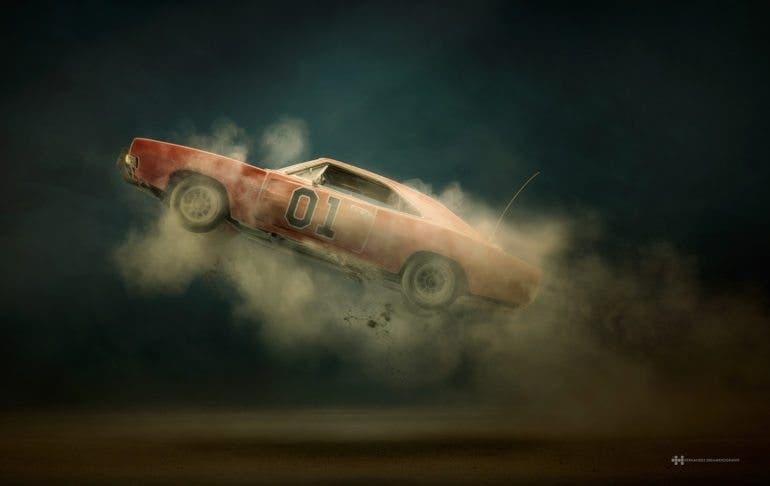 Simply titled “The Dukes Of Hazzrd”, this was a personal project where Felix once again photographed a model car with added effects. 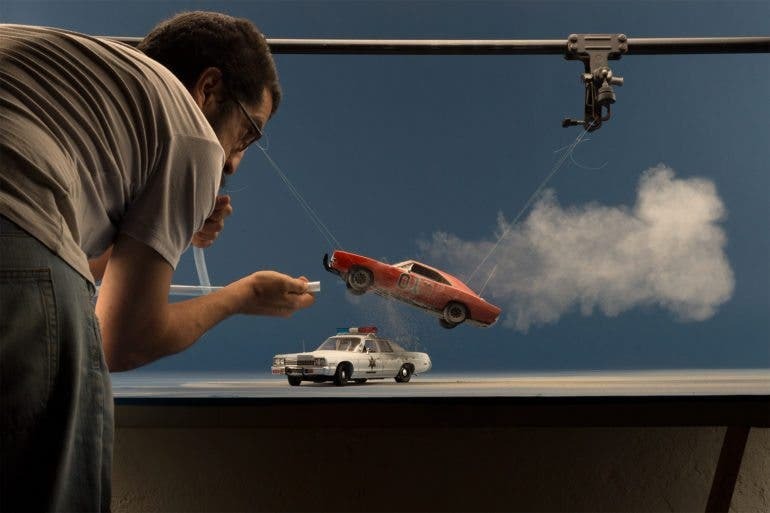 Similar to his previous work, Felix emphasized using only real life, practical effects during the shoot instead of computer generated graphics in extensive photo-editing work. 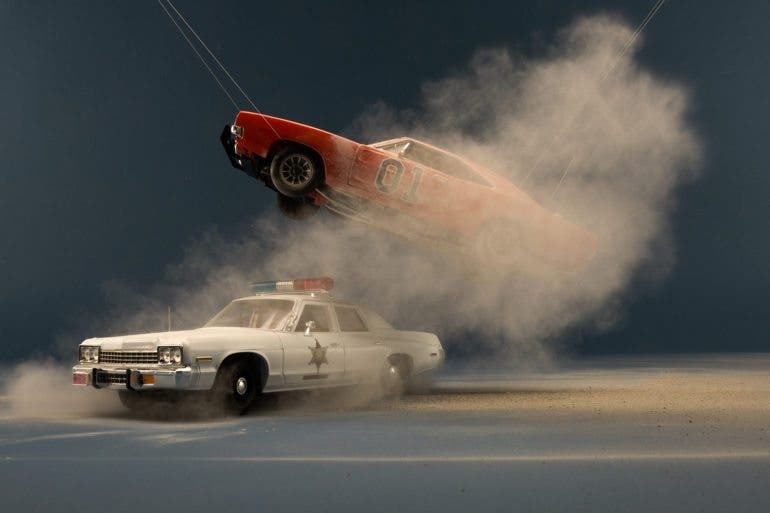 This resulted in a higher sense of realism as the special effects blended seamlessly with the Dodge Charger model car. To simulate the car jumping in mid air, Felix used strings to hang the car in mid air, then further added drama by blowing fine sand (or dust) onto it. 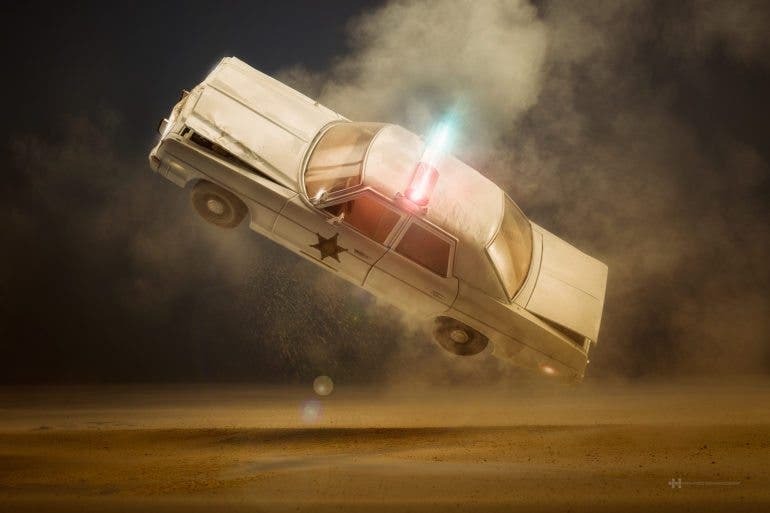 A setup using multiple large studio flashes created an extremely natural lighting effect on the car while realistically accentuating the frozen dust particle effect around it. 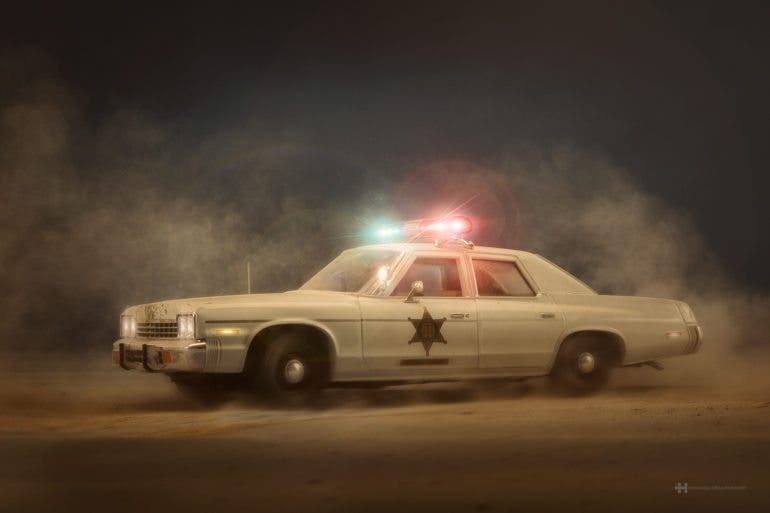 The car was consequently seen as if it was moving at an extremely high speed. 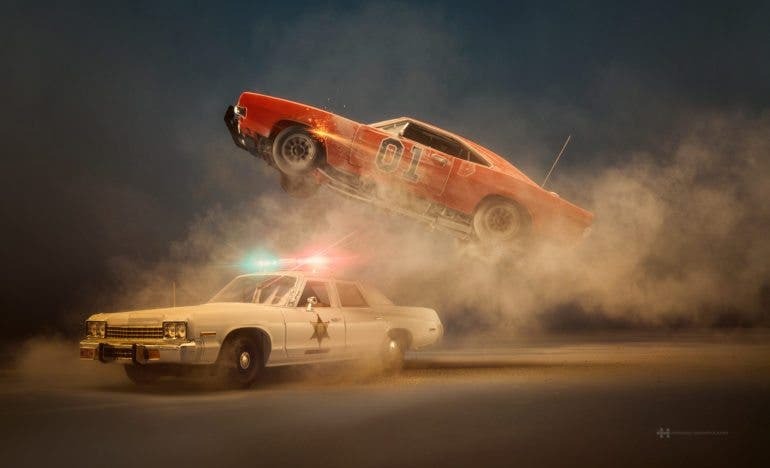 Felix’s beautiful work on The Dukes Of Hazzard proves that photography requires a lot of imagination and creativity to accomplish a visualized image in mind. 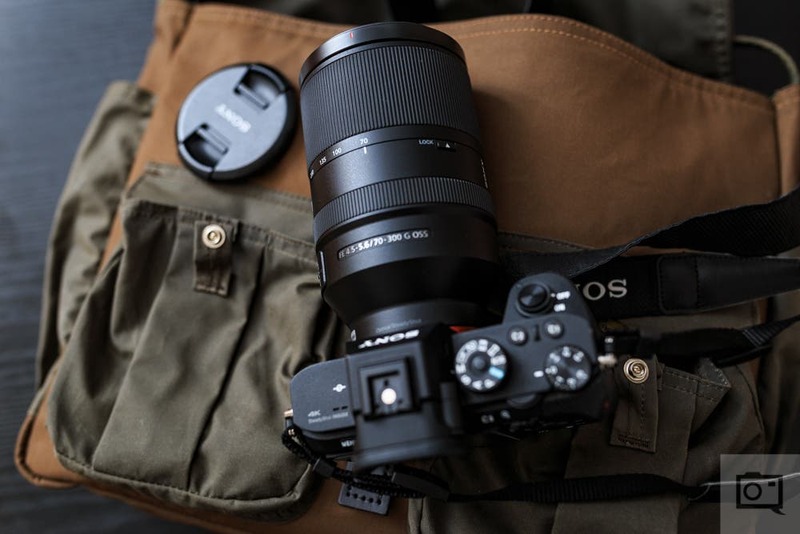 Without resorting to heavy photo-manipulation, incredible photography can be done with a little extra effort and thinking outside the box. 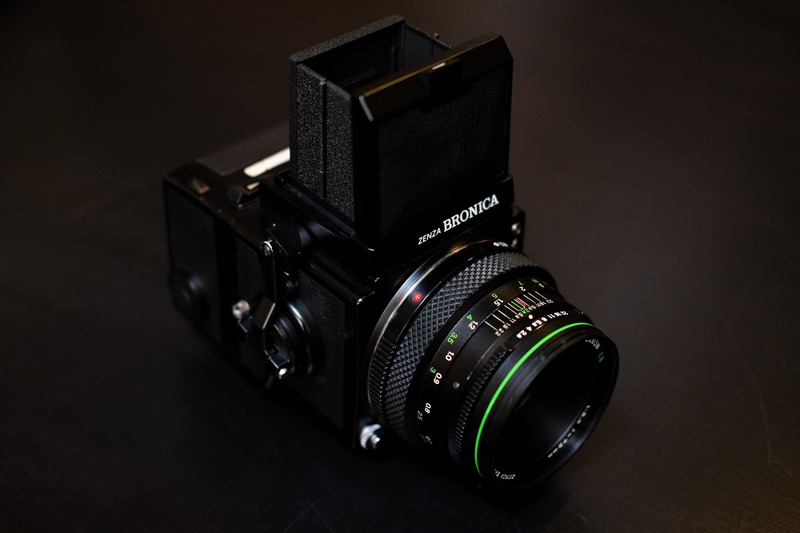 You may find out more about Felix Henandez’s work here.